By Jade Carpenter | March 20, 2018. 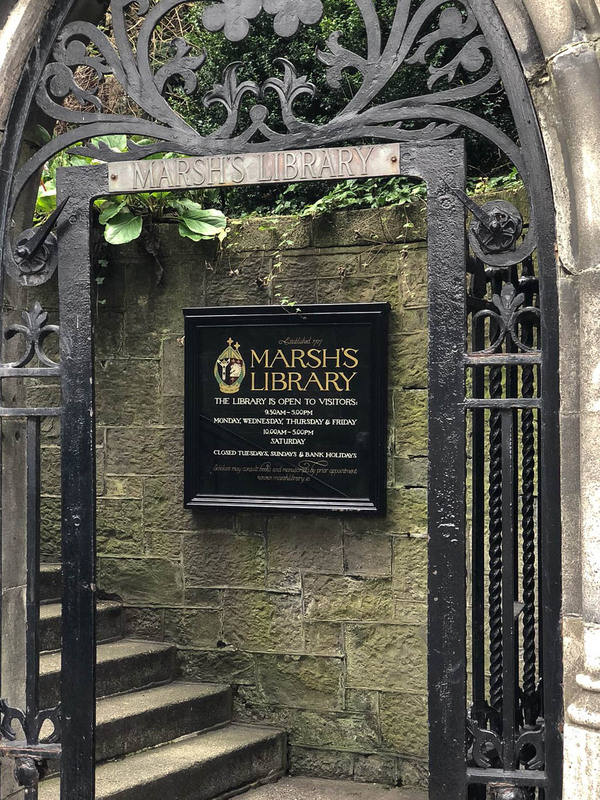 Nestled beside St. Patricks Cathedral and just a ten minute walk from Grafton Street, Marsh’s Library is a true hidden gem of the liberties. It is Ireland’s oldest library and one of the few 18th century buildings in Dublin that is still used for its original purpose. 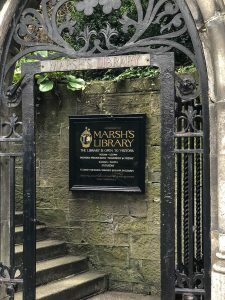 Founded by Archbishop Narcissus Marsh, much of the library is preserved as it was when it opened. As well as its vast history the Library is also known for its ghostly guests. The ghost of the Archbishop has allegedly been spotted searching the books at midnight for a long lost letter from his niece. The Library is open to the public every day except Tuesday and Sunday at 9:30am – 5pm Monday -Friday and 10:00am – 5pm on Saturday. A must see for tourists passing through, look out for the arch shaped gate within a stone wall as it might be easily missed. Dublinia takes you on a journey back through time where you can experience life in Viking and medieval Dublin. The attraction includes live actors in full costume to add to the visitor’s experience. See how a history hunter uncovers the past and view real Viking and medieval artefacts found right here in Dublin. Climb the 96 steps up to the top of the original medieval St. Michael’s Tower which has spectacular views of the surrounding city. Dublinia is situated in Synod Hall which Neighbours Christ Church Cathedral. Combined tickets can be bought in order to visit both locations on the same day. Dublinia is open 10am – 6:30pm (last entry 5:30pm) from March to September and 10am – 5:30pm (last entry 4:30pm) October to February.Visit www.Dublinia.ie for more information. Located on Thomas Street, Vicar Street is one of Dublin’s finest concert and comedy venues. Vicar Street opened in 1998 and has since become one of the most popular settings for music and stand-up comedy. With a capacity of 1,050 seating and 1,500 standing, Vicar Street is renowned for its intimate setting and excellent atmosphere. With a vast array of artists and performances available on their website, there is sure to be a show for everyone at some stage. 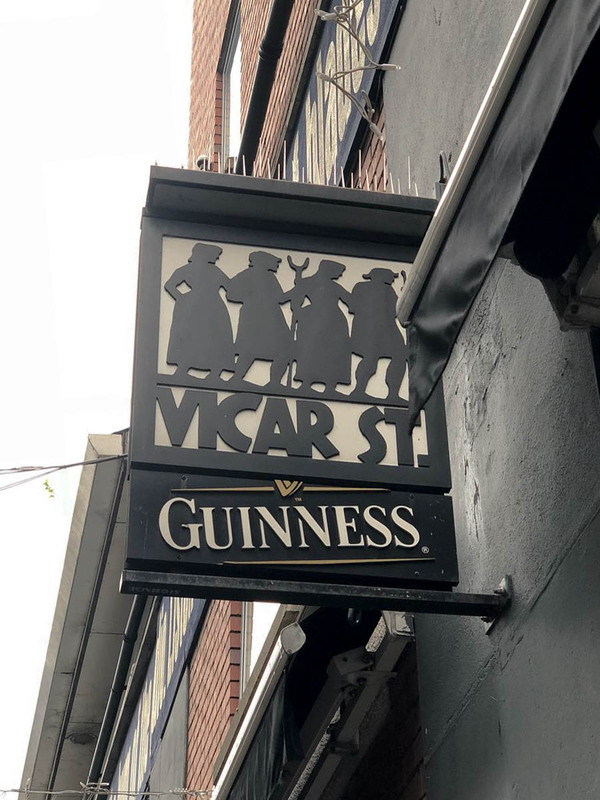 Winning the Dublin Live Music Venue of the Year in 2008, Vicar Street has proven itself well-loved by music, comedy and drama lovers from all walks of life. 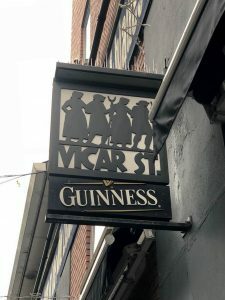 With five bars located around the cosy venue, why not finish off a day of touring Dublin with a live performance and a pint. Take a look at the Vicar Street website www.vicarstreet.ie to see what’s on. Opened in 1973, The Liberty Market is one of Dublin’s longest running markets. Widely recognised for its friendly staff, traditional atmosphere and unbeatable bargains, the Liberty Market is not to be missed on a day out in Dublin. Perfectly capturing what makes Dublin such a special place to visit. A treasure trove of clothes, food, cosmetics, household goods, toys and endless amounts of miscellaneous products, this thoroughly authentic market is without need for any fancy frontage. Promising a down-to-earth vibe and a refreshing contrast to bustling shopping streets around the city, you’re guaranteed to enjoy a visit here. The Liberty Market is located on Meath Street and is open Thursday 10am – 3:30pm, Friday 10am – 5pm and Saturday 10am – 5pm.